There is a question that has tormented film critics for decades and driven a wedge between audiences and critics. Why do we love bad movies? Yes, critics love bad movies too. There can be an undeniable pleasure in a film that becomes an unintentional comedy, or to revel in the schadenfreude of film spectacularly failing. While everyone enjoys a good dumpster fire that is not the only focus here. We also want to examine extremely popular and successful bad movies. As a bit of a disclaimer, there is nothing wrong with enjoying, or loving a bad movie. Your friends might think less of you, but they should not because they love some pretty bad movies too. There are three categories of bad movies. The unintentional comedy, the dumpster fire, and the sacrosanct. Each of these types has distinct attributes that not only make them bad but make them beloved. While the specific opinions will vary from film to film and viewer to viewer, but the underlying rationale is the same. That rational requires a shared experience because misery loves company, and shared misery is the best kind. The unintentional comedy is the type of movie you will find the subject of Mystery Science Theatre 3000. These are films that can fail on multiple levels but are usually just the result of low-quality work. They tend to be unintentionally campy and over the top. One defining feature is actors that chew the scenery to pieces. 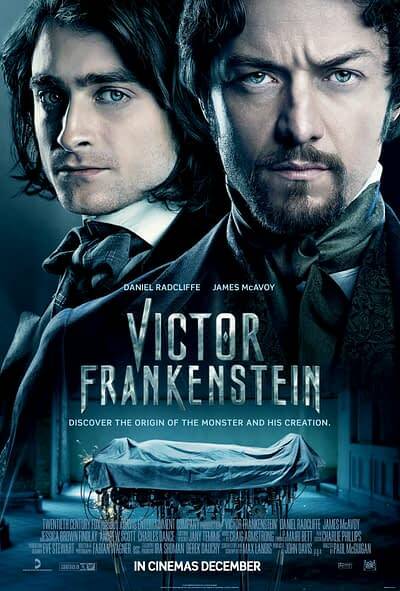 Such as the delicious Victor Frankenstein in which James McAvoy performs as if Daniel Radcliffe was not acting hard enough so he had to do it for both of them. It is difficult to know if the film was intended to be hilariously camp, in the end, we don’t care. The dumpster fire is a film that fails at every level and would be unwatchable if it wasn’t such a disaster. These movies are hilarious out of pure schadenfreude, it is like watching NASCAR for the crashes. These are movies like Catwoman, or Batman & Robin. It is impossible to tell what kind of film the director was attempting to make, there are no cohesive elements and the only enjoyment comes from the appalled laughter of the audience. The sacrosanct film is one that dedicated fans insist is a masterpiece, but a casual viewer does not. These films are frequently the most debated, revered, and reviled. Films like Twilight, Fifty Shades of Grey, and Interstellar. These may be bad movies, but you will never convince a fan. Bad movies have a long history of finding affection, much like ugly dogs. Some psychologists believe people love bad movies because it satisfies a subconscious need to feel superior. While others believe it is a chance to bond with others through a shared experience of discomfort. Whatever the reason bad movies will always be a part of sub-culture and friends will always revel in the opportunity to share them.